If you’ve never ordered an Erin Condren planner sign up here for $10 OFF your first purchase! 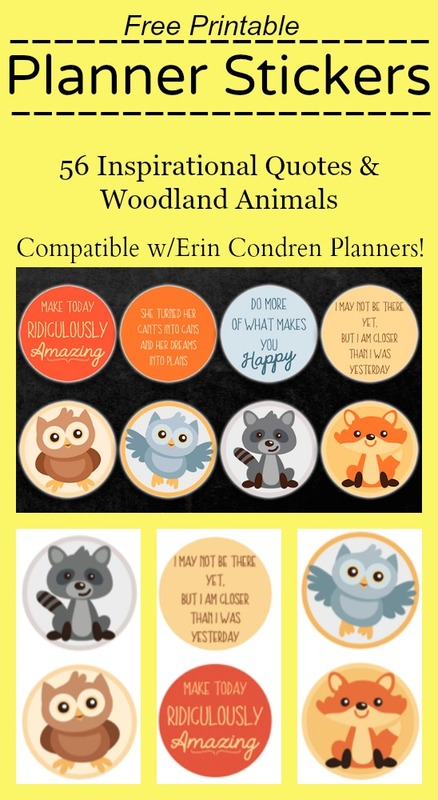 So many of my readers have contacted me asking if I knew of any free Erin Condren compatible printable stickers for your planners so we decided to put something together! (you can of course buy fabulous ones on Etsy here or just shop at Erin Condren here!) Although the planners are totally over my budget I know many of you can’t live without yours! And if you don’t feel like printing these out you can buy really inexpensive planner stickers compatible with Erin Condren planners here! 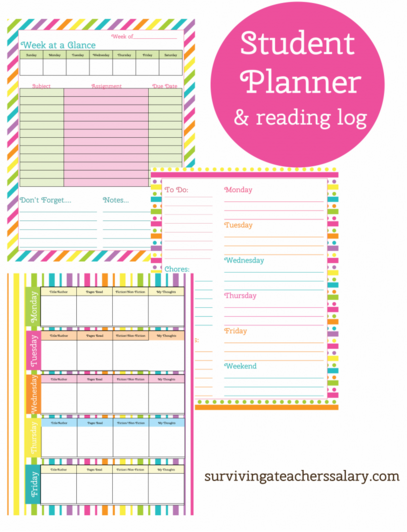 You might also be interested in our free printable planner pages with reading logs! Just print the file below on an adhesive sticker sheet and use to decorate and organize your planner! There are 56 printable stickers per 8.5×11″ sheet and are 1 inch each. Those are adorable! Would you mind telling me where you got those sweet graphics? I am trying to make a planner next year and would love for it to match. Thank you. Etsy! :) I LOVE Etsy graphics!